As a kid who grew up in rural Kentucky, sometimes homeless and consistently poor, I never thought I would have the opportunity to travel within the United States, let alone, internationally. 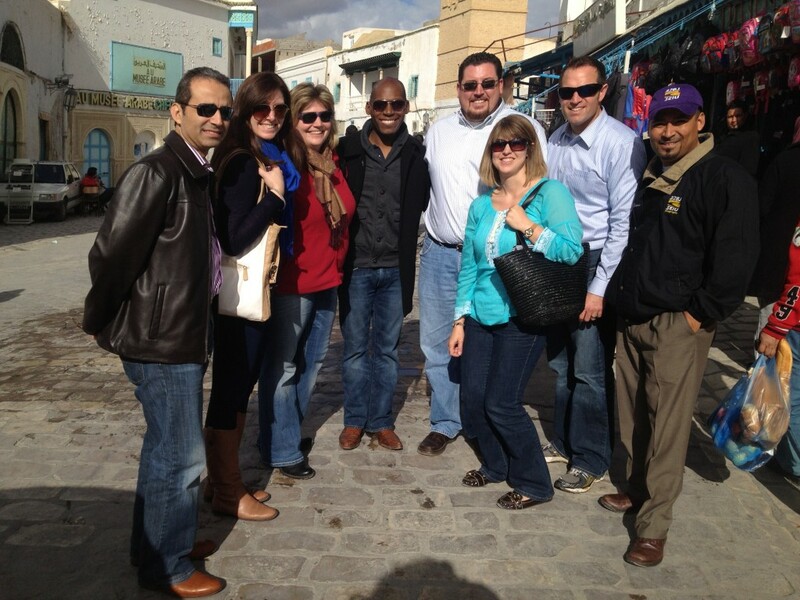 The author, fourth from the left, explores a Tunisian market with his delegation. When I received the call that I had been nominated to travel with ACYPL, my mind instantly turned to Russia, a place I had wanted to travel to so badly growing up that I not only checked out Russian history books from the library, but taught myself rudimentary Russian, as I daydreamed about traversing through St. Petersburg, Moscow, or even Sochi. To my surprise, I was not going to Russia, but to Northern Africa. Tunisia and Morocco to be specific. The Arab Spring had put forth in the minds of those of us in the West what had been burgeoning in the hearts of so many in Tunisia and Morocco: there is inherent dignity in advancing freedom and that the path to democracy is not easy. As we met with business leaders, political leaders, faith leaders, and everyday people, a clear and defining picture began to emerge for me that the future of North Africa was being written literally as we were there. It was palpable and breathtaking. There were days that you did not know if the fever pitch would explode and there were days in which there was a united sense of urgency to begin the new day for Tunisia. Tunisia is a beautiful country. That is not hyperbole; there is breathtaking beauty all around you that photographs will never do justice. Yet even more beautiful than the natural beauty was the humanity of the people I met and the people I was simply able to watch. From children playing soccer, to families working in the marketplace, to young professionals developing businesses, to social activists shaping the future of their communities, there is a dignity to the people I met that stands in stark contrast the news coverage in the West. A saying I learned in my time there defines my desire to return on day. Insha’Allah, or God willing. 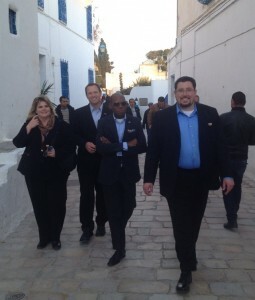 On many trips I take I cannot wait to get back home, and while there was a point in which I missed my family and was anxious to meet my newborn son, I left a chunk of my heart with the people of Tunisia and made friends that, to this day, are brothers and sisters in shaping a better future as global citizens. Colmon Eldrige is ‎Executive Vice President at Young Democrats of America.